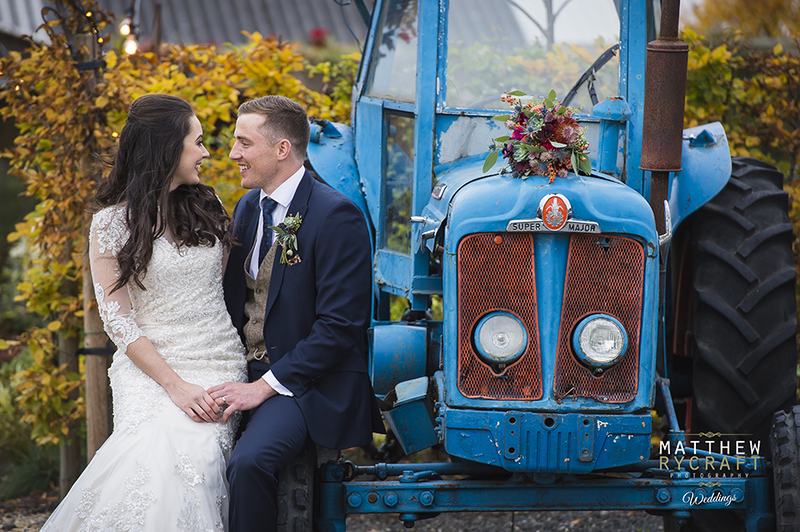 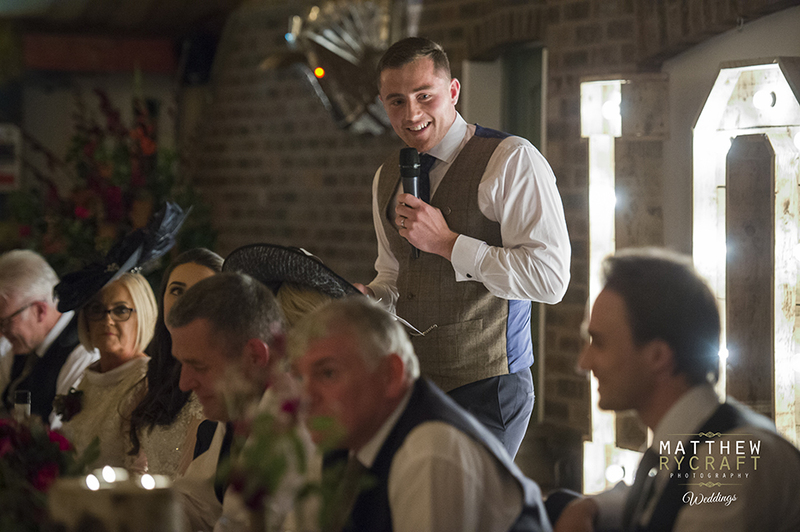 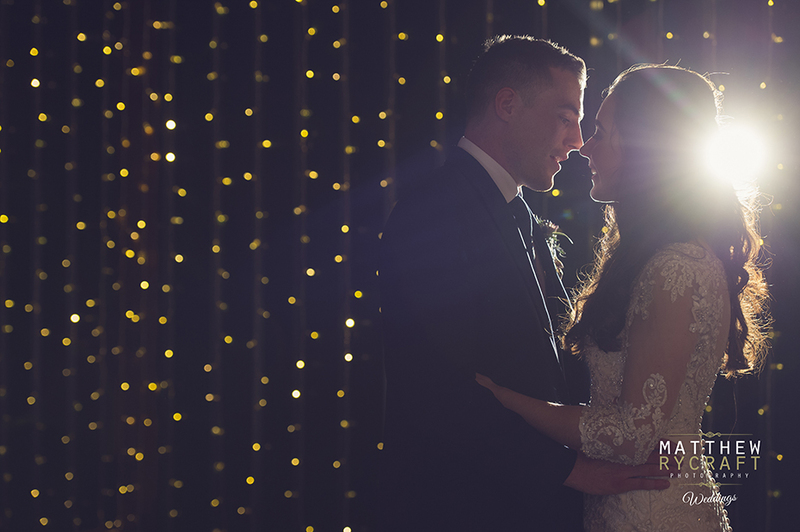 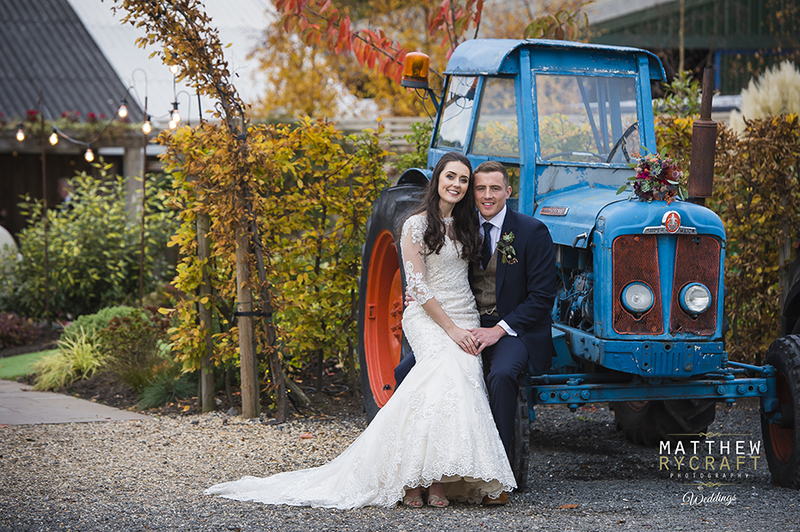 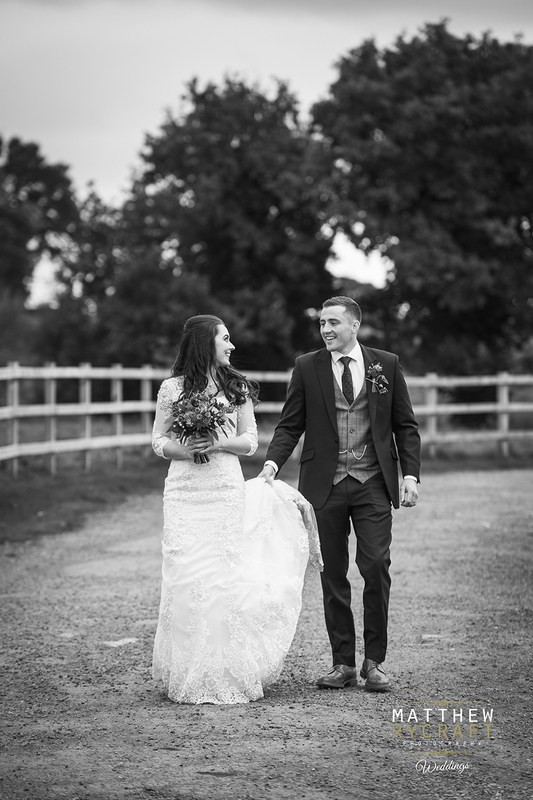 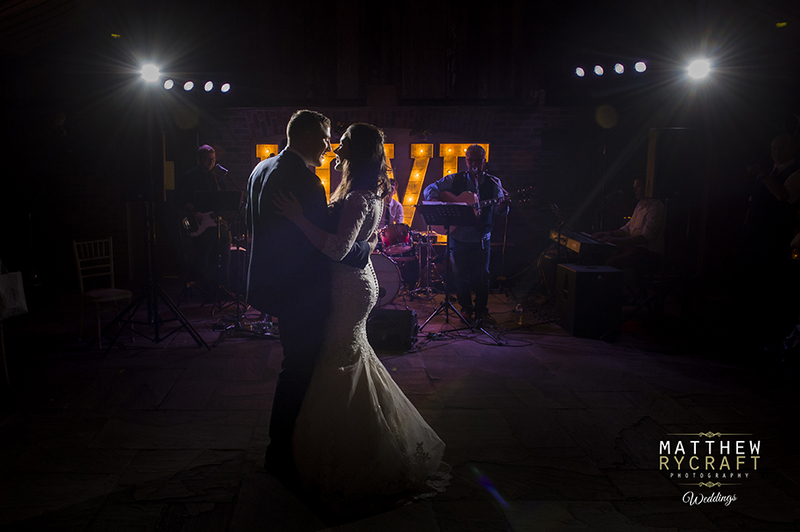 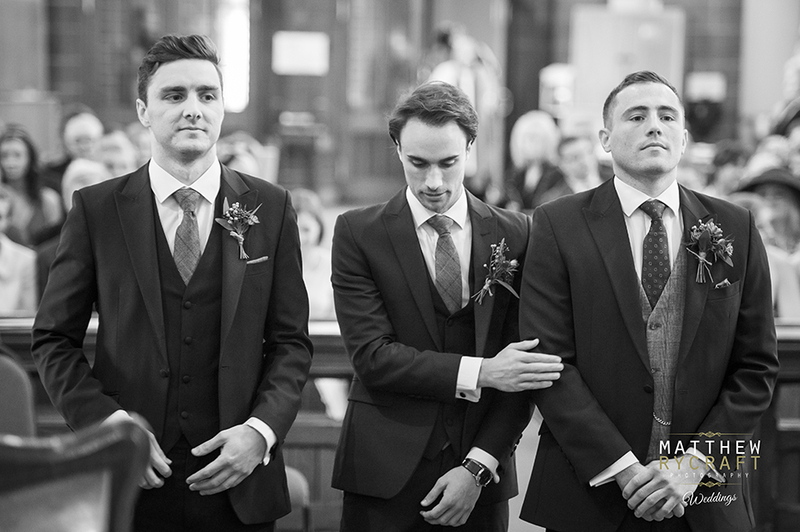 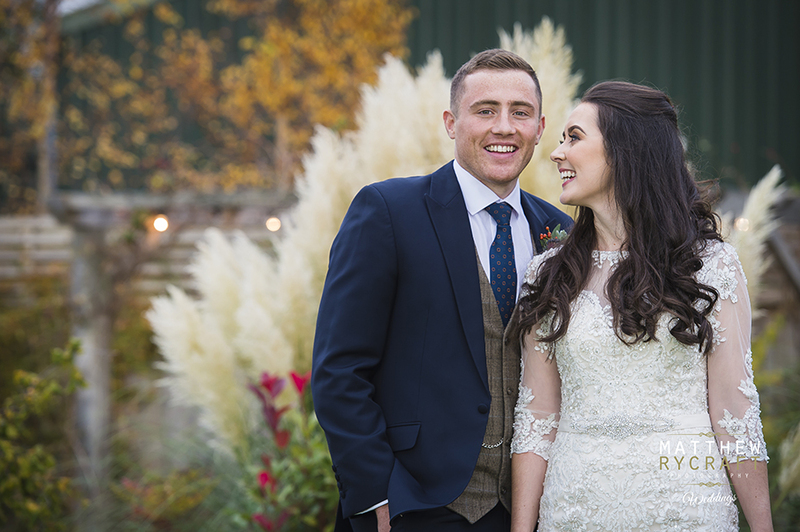 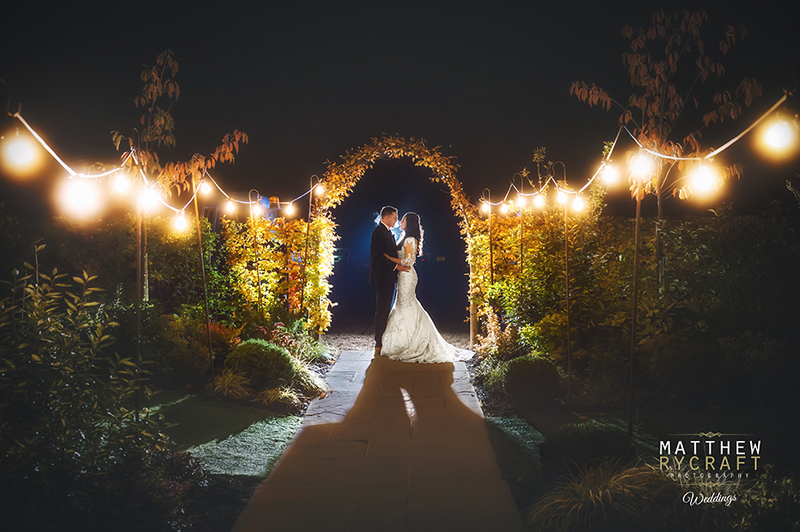 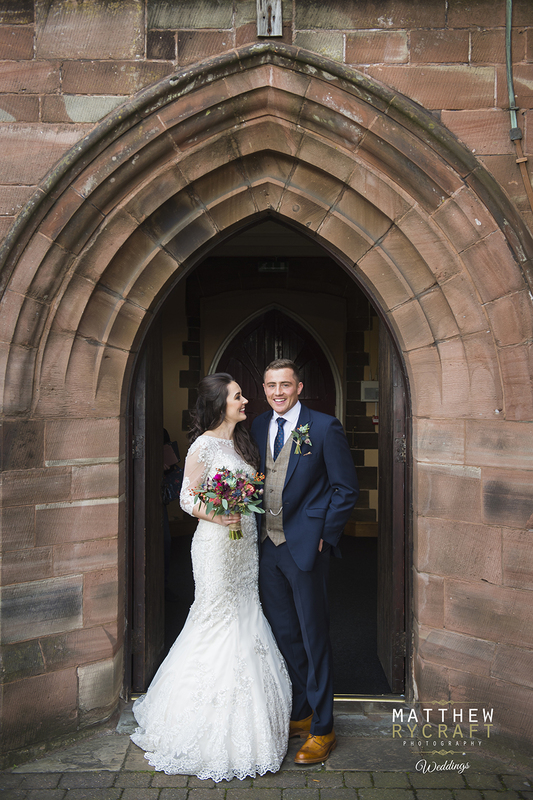 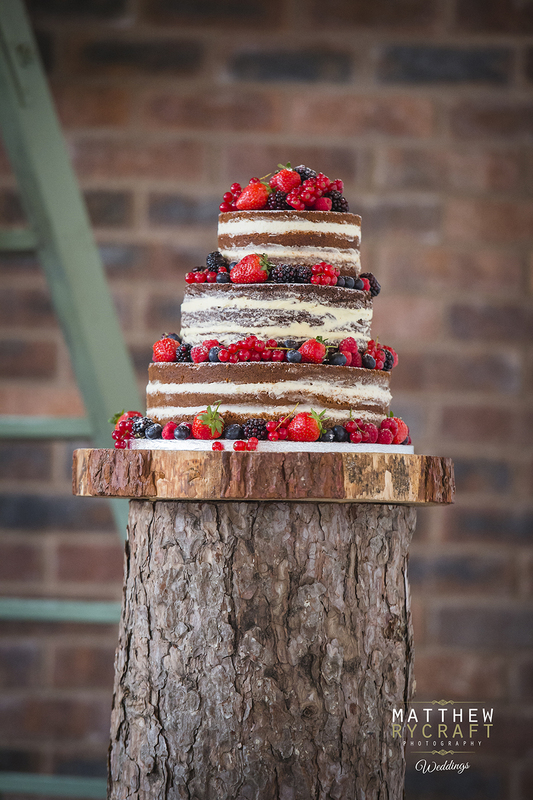 In October this year, Rebecca and Andrew held their stunning wedding day in the heart of Cheshire’s countryside at Owen House Wedding Barn, Mobberley. 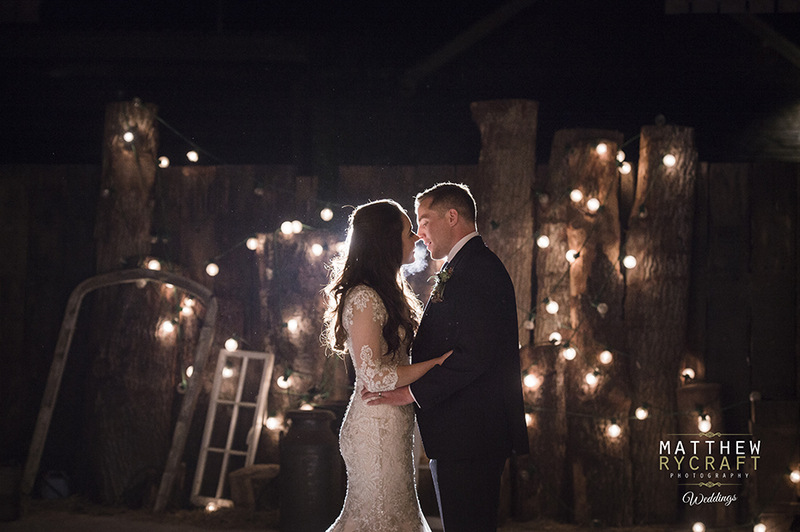 A family run Wedding Venue, with a converted barn, offering a unique experience, but still keeping its rustic charm. 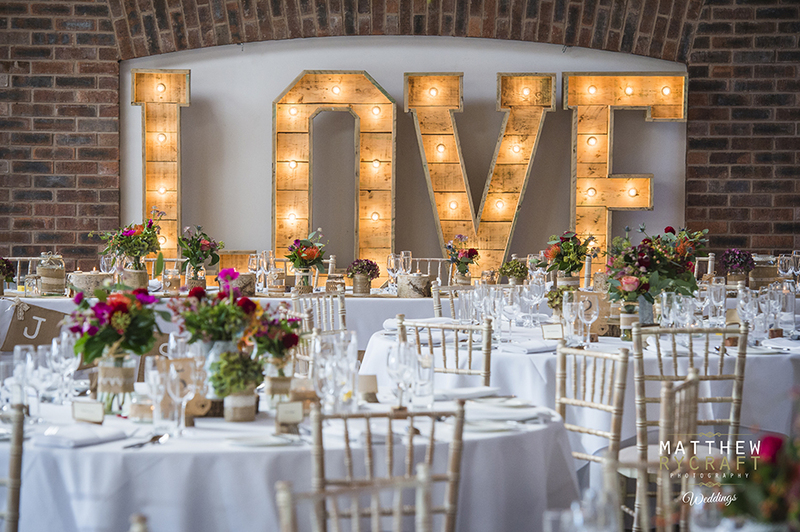 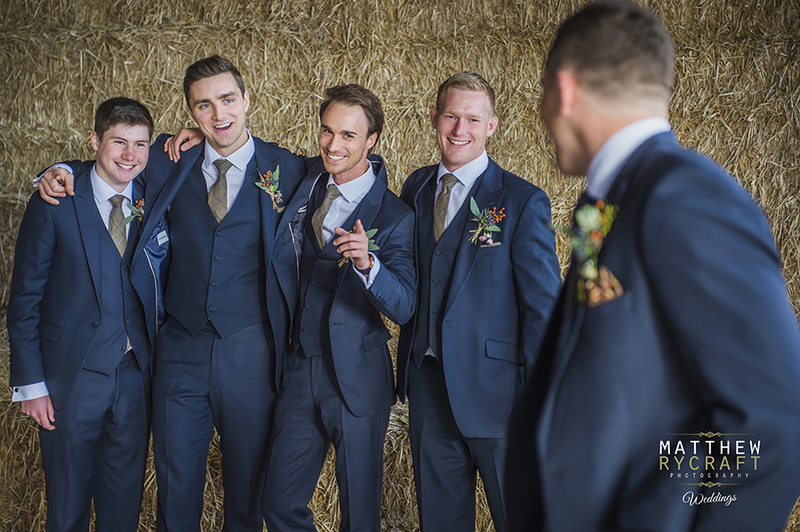 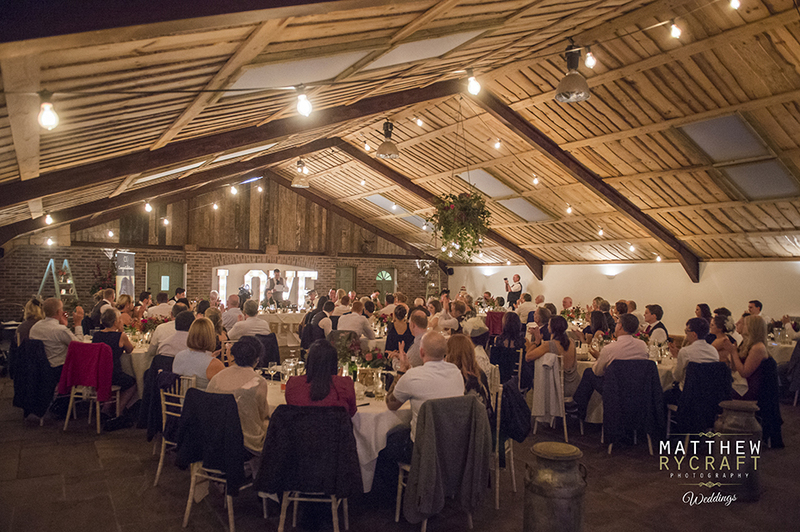 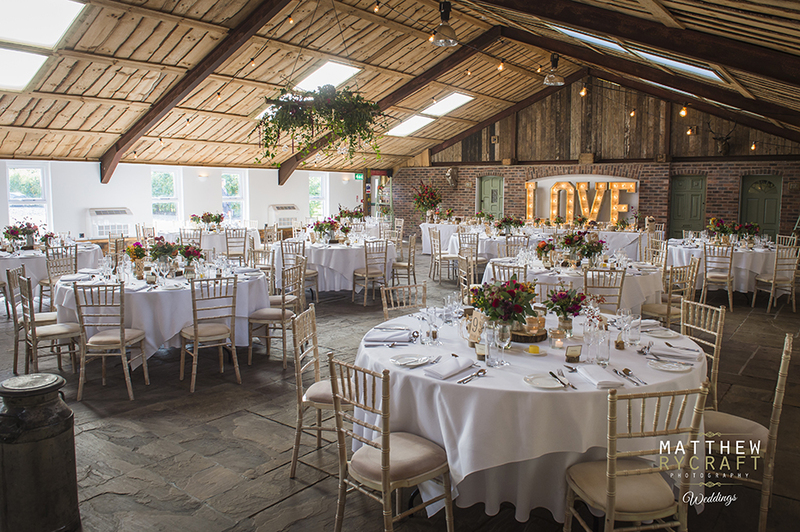 this was a perfect wedding day at Owen House Barn! 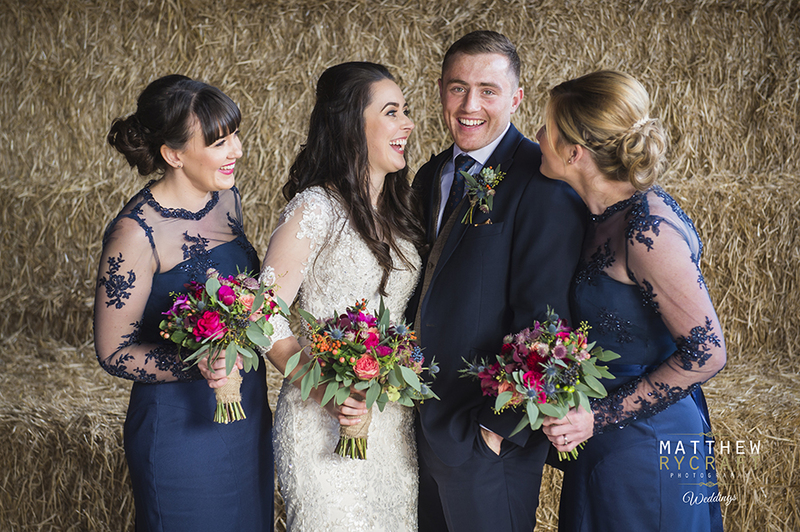 Rebecca with two Bridesmaids, got ready at her Mum’s house. 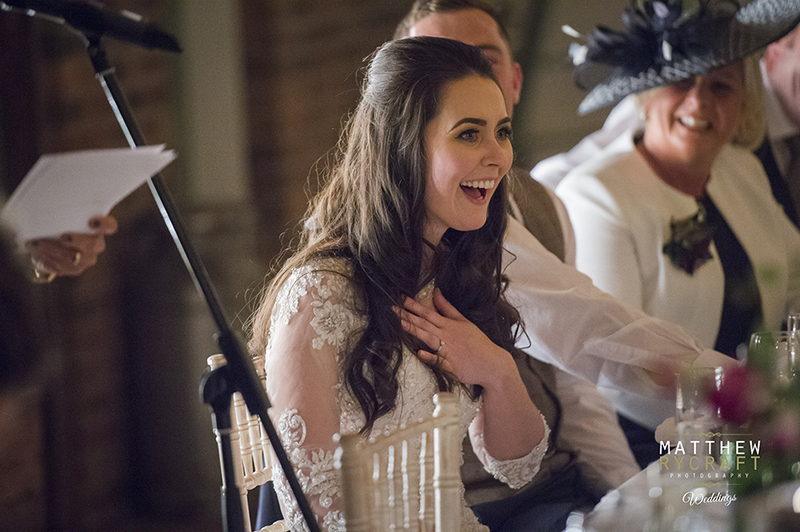 She felt surprisingly calm and excited at the dame time. 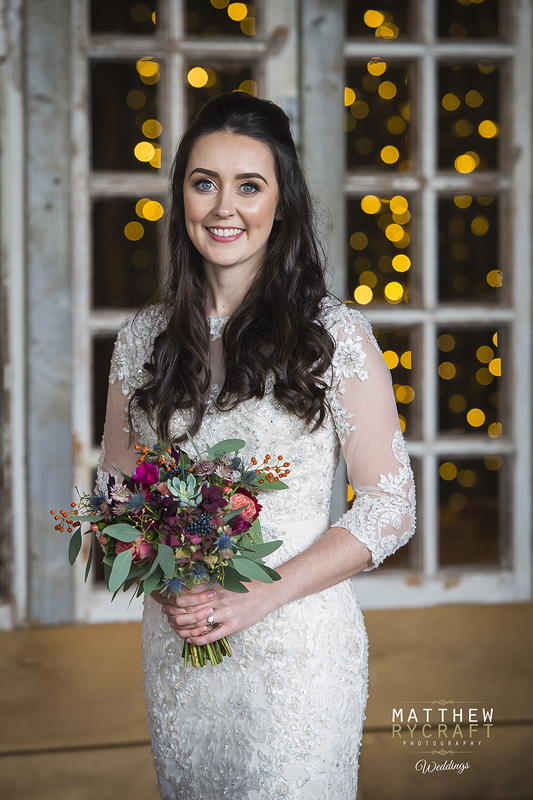 “I couldn’t believe that after months of planning, the day was finally here.” Jade, Andrea and Chloe were on hand for all their hair and make-up, giving them the 5 star treatment. 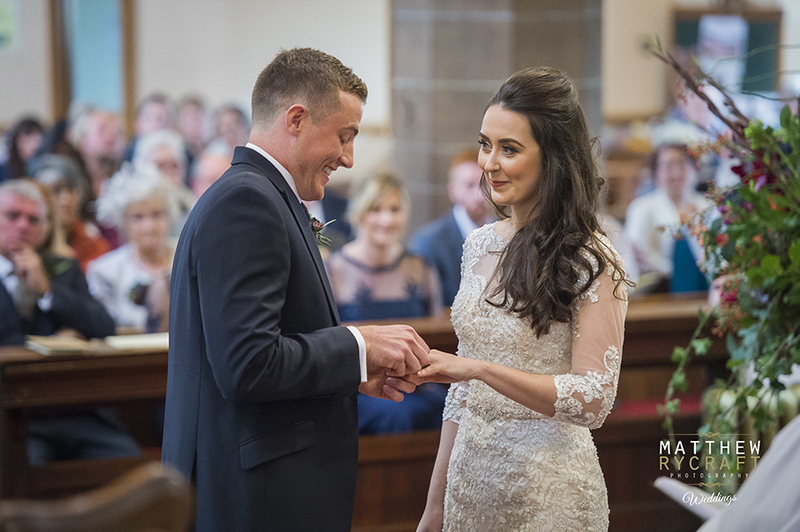 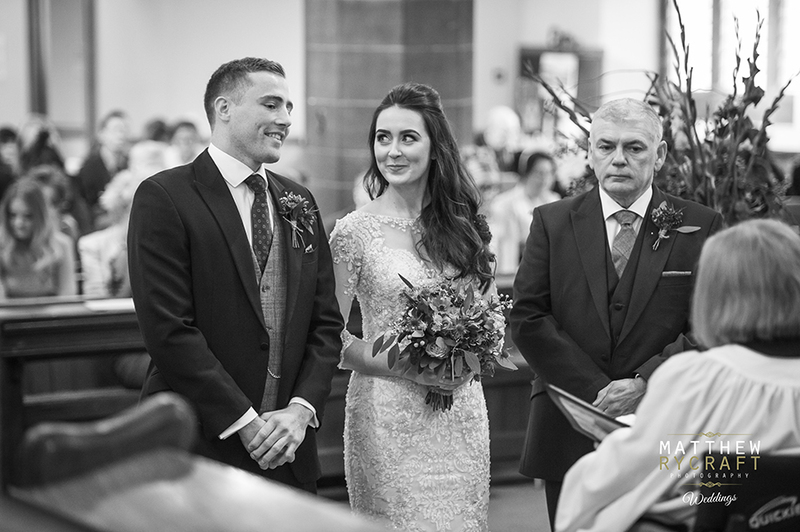 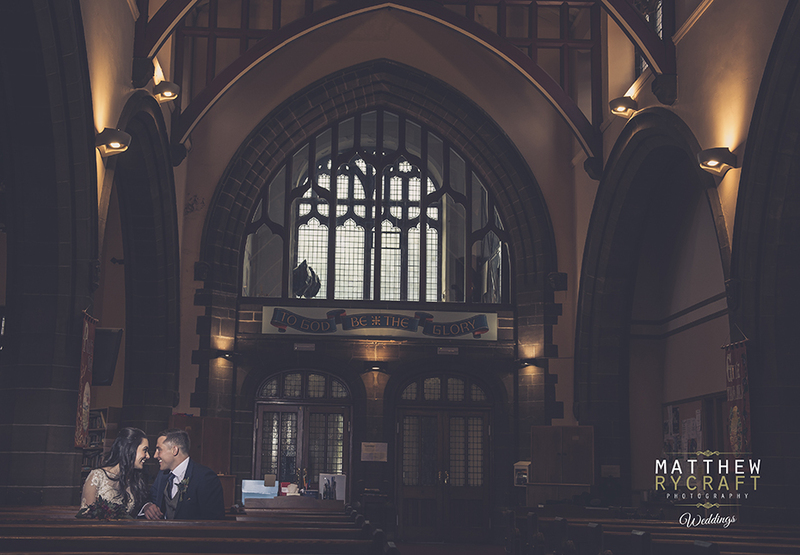 Rebecca’s stunning wedding dress was designed by Ronald Joyce from Bridalwear by Emma Louise, in Bolton. 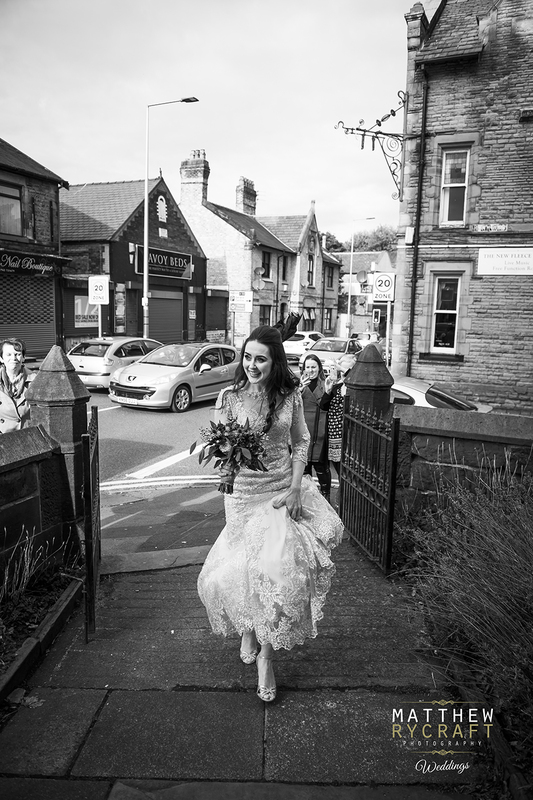 Her Bridesmaids dresses were designed by Rebecca and made by The Wow Factor, Sue Fairclough, from Wigan. 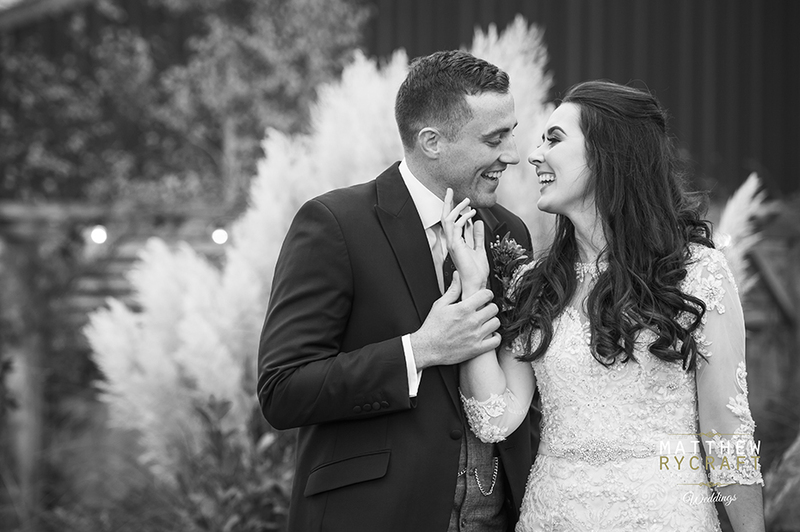 Such a talented lady and everyone complimented on them. 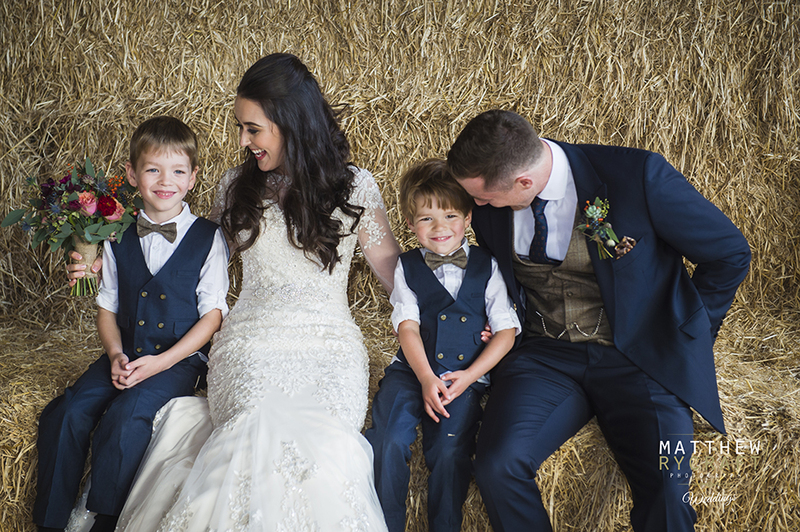 She even made the Mother of the Bride dress too. 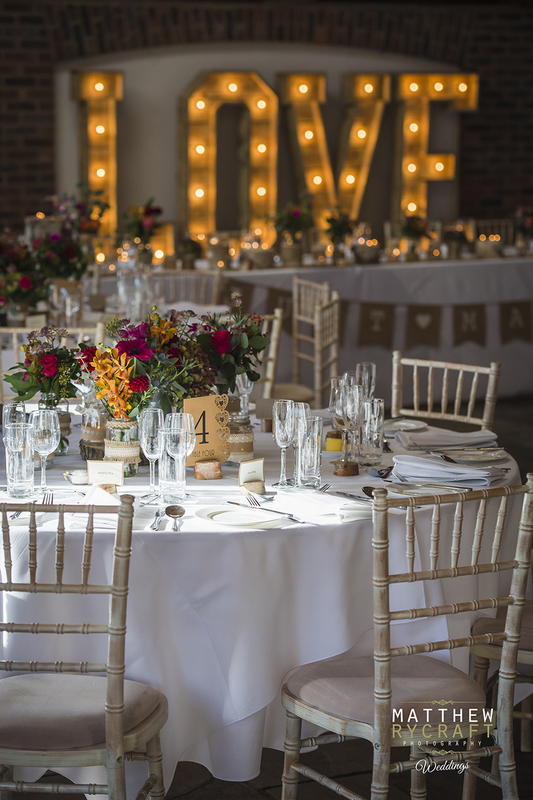 They made all their table decorations themselves. 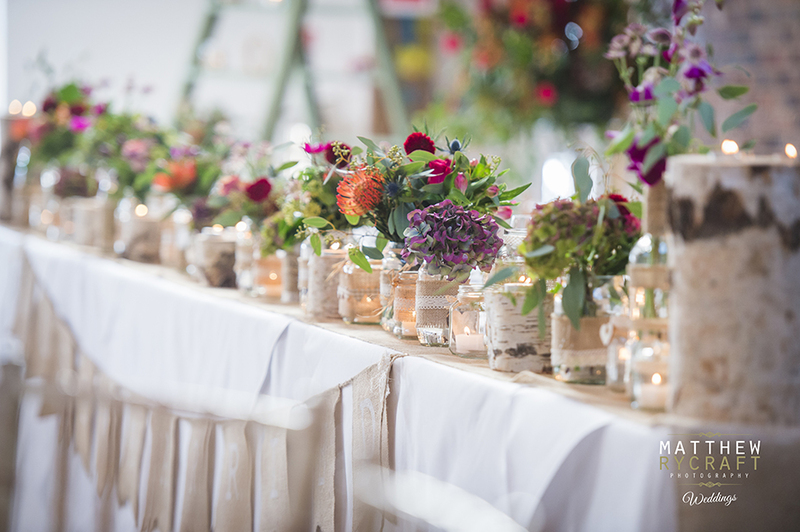 Using recycled glass jars, they decorated them with hessian and lace. 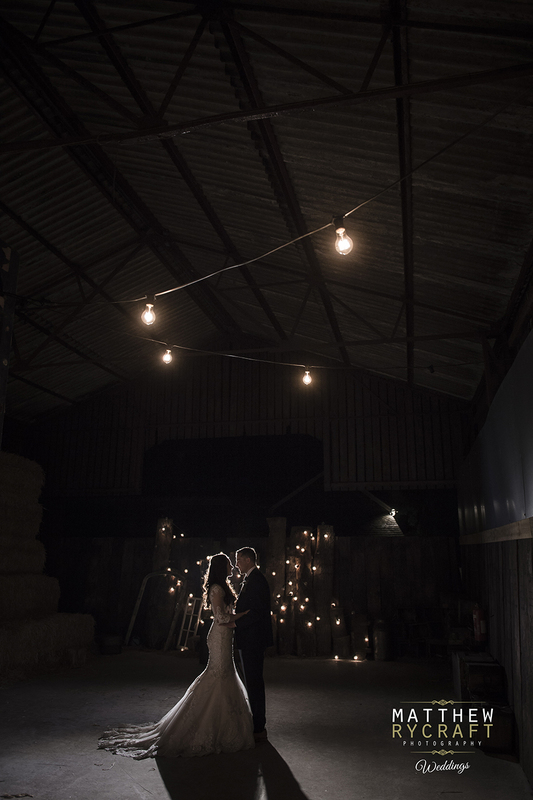 Owen House Barn finished dressing the Barn and did a fantastic job, creating a rustic romantic atmosphere. 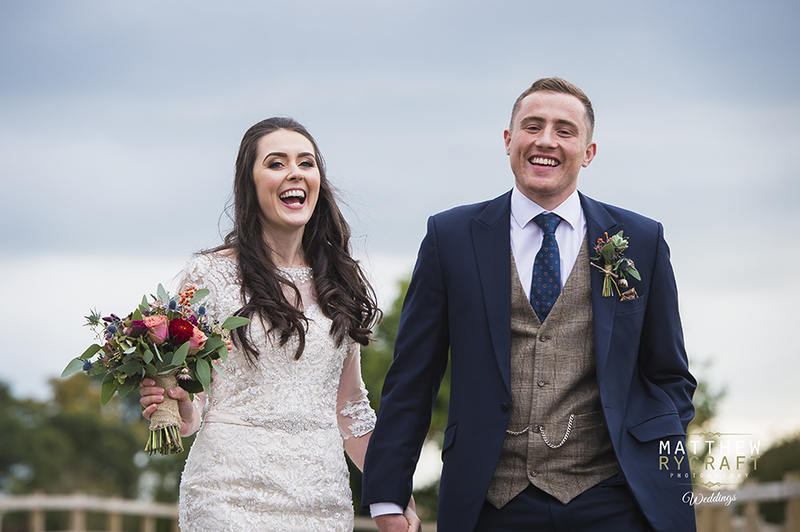 Rebecca had taken an old vintage bicycle ‘Welcome’ sign and filled the basket with flowers and used an old vintage leather suitcase for their wedding cards. 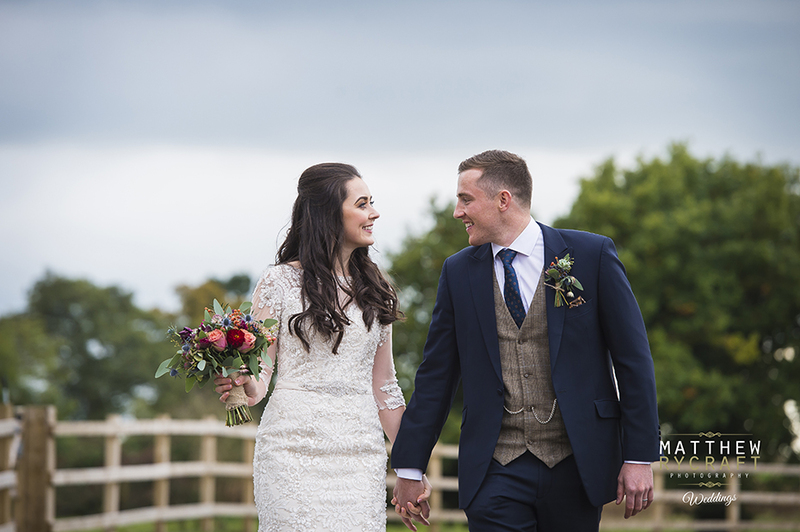 Andrew’s cousin designed their themed wedding stationery, which was hand made by Naomi Lynch.